The Autumn of Our Lives? To my loyal readers and subscribers, let me apologize for the lost month of October. Only two posts – after months of posts every week. Shameful. I’m sorry about that lapse. Somehow, October got away from me. Business trip. Vacation. Another paid writing job (yea!). Stressful hours at work (yuk). Hubby in a different part of the country temporarily (it’s a work thing – part of the “plan”). But it’s a new month. November. My least favorite month of the year weather-wise, with March running a close second. 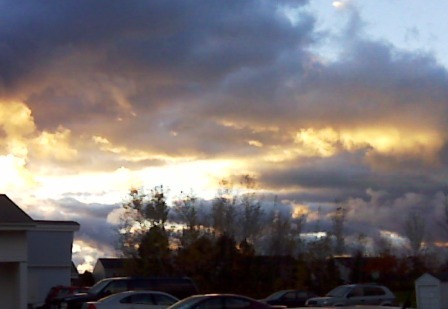 In Upstate New York, November is a cold, damp, cloudy, dreary, raw, rainy month. It’s the month when the sun starts going down before we even get out of work. The colorful foliage falls to the ground and lingers in big, wet, brown piles in the yard. People start hibernating – I haven’t seen a neighbor’s face in days. Heading toward my mid-fifties, I am facing what has often been called the autumn of my life. Makes sense, I guess. Youth is obviously the Spring of life – noisy and boisterous and colorful and unruly. Those are the years of growth. The colors may be pastel, but they are everywhere – from the audacious crocus that thrusts its head up above the snow, to the showy, crowd-loving daffodils that burst forth in bunches of sunny color. The tulips follow. They are a bit more “grown-up” and organized…perhaps the tulips reflect our teen years. Diverse, but structured. Growing in groups, they are showy, but no one blossom is the center of attention. Summer is clearly supposed to represent our “prime” years. The pastels give way to deeper shades as trees leaf out and the landscape turns to various shades of emerald. The colors, like our lives, have matured, become deeper. We are fruitful – if not in the family sense, then in the career sense. We establish ourselves, sinking our roots and staking our claim. There’s still plenty of room for growth – ever watch corn grow in July and August? Or tomatoes go from blossom to green to red and ripe in August? Yup – the summer years are when we “ripen”, alright. So what does that leave for our later years? Autumn and winter. Yippee. I guess I’m in autumn. I have to work my way past thinking of the autumn that’s outside my windows right now – cold, gray, barren November. After all, autumn starts in September, and that includes the jewel-toned colors of October, when the whole world seems to be on fire. The trees are ablaze in reds and golds, and the air is crisp and refreshing. That’s the autumn I want to celebrate. But let’s face it – when someone is in the autumn of their lives, we’re thinking November. Graying, dreary, cold, unfriendly territory. And what’s next? Well, let’s leave that one alone for now. Here’s my theory. Yes, our autumn years have the blaze of October, and also the misery of November. And you know what? That’s okay. You know why? Those youngsters in spring and summer aren’t ready for November. They get a couple rainy days and they’re whining. Give them a cold snap in July, or snow on Mother’s Day (it happened here this year), and they’re traumatized. Seriously, the last time it snowed on Mother’s Day, a young co-worker packed it up in tears and ran home to California, convinced she’d moved to Hell when she settled in our little corner of the world. Wimp. Yes, we may be headed into the autumnal years. But we can take it. We’re raking up the fallen leaves and enjoying the harvest. It was fun playing around on the beach all summer long, but now we’re back home and turning those wild grapes in the red wine of wisdom. Okay, maybe I took that analogy just a bit too far… But I’ve earned the right to go over the top if I so choose. After all, I’m an autumn person. I survived spring and summer, which is an accomplishment. Sadly, not everyone does. And in the autumn, I can be wild and colorful. I can be cool and brisk. I can wear warm Irish sweaters and sensible shoes. I can dress up for Halloween. Youngsters are racing through time without stopping to enjoy the treats along the way. In spring and summer, every day is a treat, and we take them for granted as we rush along. But when we reach autumn, we celebrate it when that rare 70 degree day comes along and the sun kisses our face. That’s our wisdom talking. Yup, it’s November. Raw and bone-chilling cold…with brilliant blue skies and clouds shimmering with the autumn sun. Wet and windy…a great time to break out the hot cocoa and whiskey toddies. Dark evenings…perfect for enjoying a great book while snuggling under a cozy blanket. Those of us moving into the autumn of our lives have earned the right to enjoy every minute of it (it’s even okay to be smug about it). And when the dreariness seems overwhelming, we know that “this too shall pass” and that the spring really will come again – if not in the seasons our lives, then at least in the seasons of the earth. And we’ll be smart enough to enjoy its wonder.